Fife Parish Map – The Fife Post………..for genealogy and historical information. Fife Parish Map from around 1855 – 1892 with Parish numbers. I have had this Map online since my site went online in 1997, I felt the lettering could be enhanced so in October 2015 I have done that. 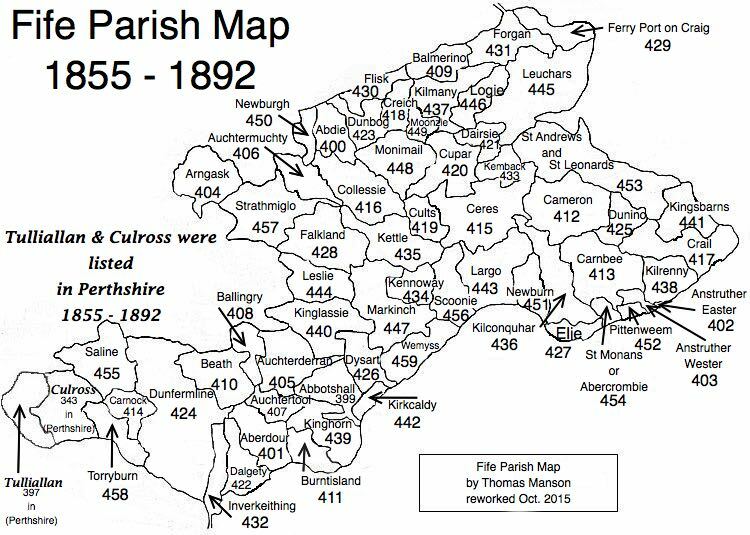 The numbers are what was the parish numbers, this is useful when looking up records for each parish, and gives readers an idea where each parish was for their Family History. I have decided to put Fife Parish Info & Records available on this page as well as on their own page.